So today is my birthday and all I want is darkness. From 8:30-9:30pm. For Earth Hour. 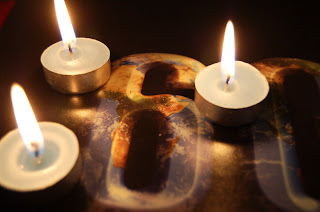 I've written about why I believe in Earth Hour a couple of times, so here is a link to a previous post that explains why I participate: Making a Gesture: Why I love Earth Hour (despite the detractors). Participating landmarks include: The Sydney Harbour Bridge, Tokyo Tower, Taipei 101, The Petronas Towers, Beijing National Stadium (Bird's Nest), Marina Bay Sands Singapore, Gateway of India, The Burj Khalifa, The Church of the Nativity (Birthplace of Jesus, Bethlehem), Table Mountain, Dubrovnik City Walls, Eiffel Tower, Avenue Habib Bourguiba, The Acropolis, Tower of Pisa, The Spanish Steps, Brandenburg Gate, Buckingham Palace, Tower Bridge, The UK Houses of Parliament, Big Ben, Christ the Redeemer Statue, CN Tower, Las Vegas Strip, Times Square, The Empire State Building, Niagara Falls and more. Some of the projects are fascinating. I do think it's surprising that they had to go and build their own platform, instead of partnering with Indiegogo or KickStarter whose massive popularity could have helped bring added visibility to the Earth Hour projects. It will be interesting to see if they can make a go of it on their own, and whether their ambitious goals (some are in the $40k range) can be realized. Individuals can also use Earth Hour Blue’s crowdsourcing platform, which will call for people to add their voice to some of the biggest environmental campaigns across the world. I didn't see any listed yet, but it will be interesting to see what kind of campaigns they pursue with that part of Earth Hour Blue.